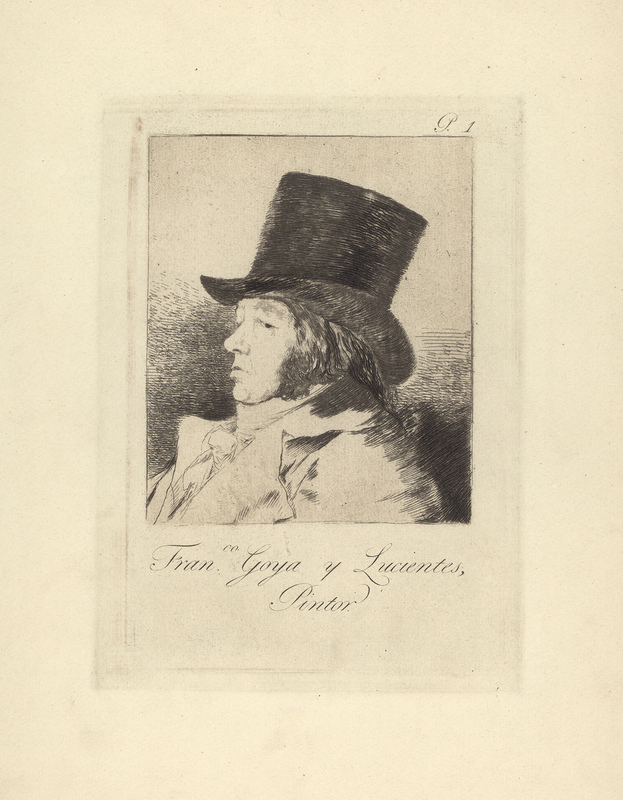 Francisco José de Goya y Lucientes, known as Goya (1746–1828), was born into a modest family in the remote Aragonese village of Fuendetodos, Spain. 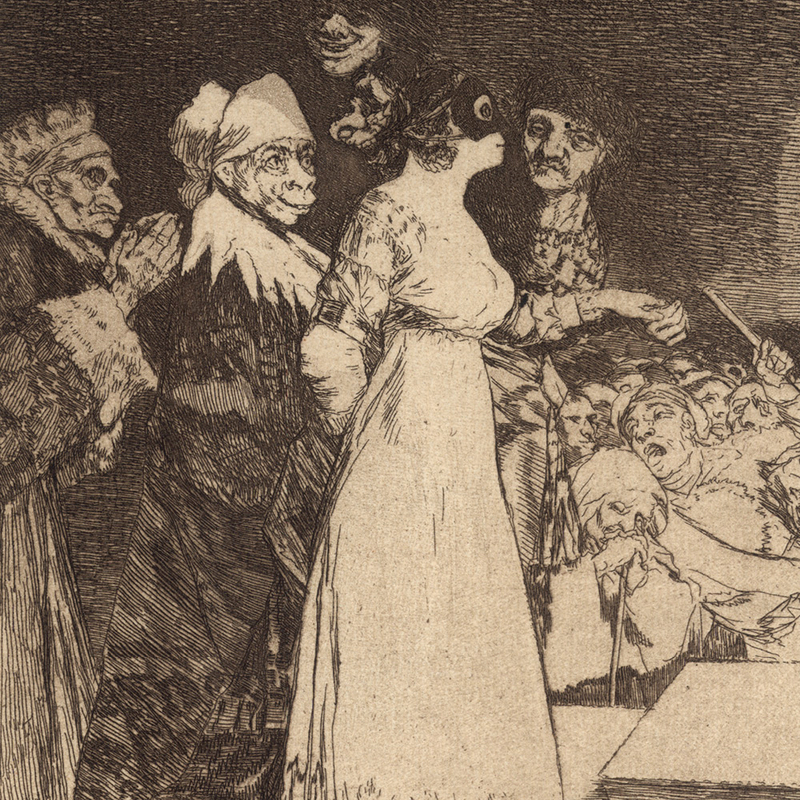 He received a better than average education from the Scolopian Fathers at a local monastery. 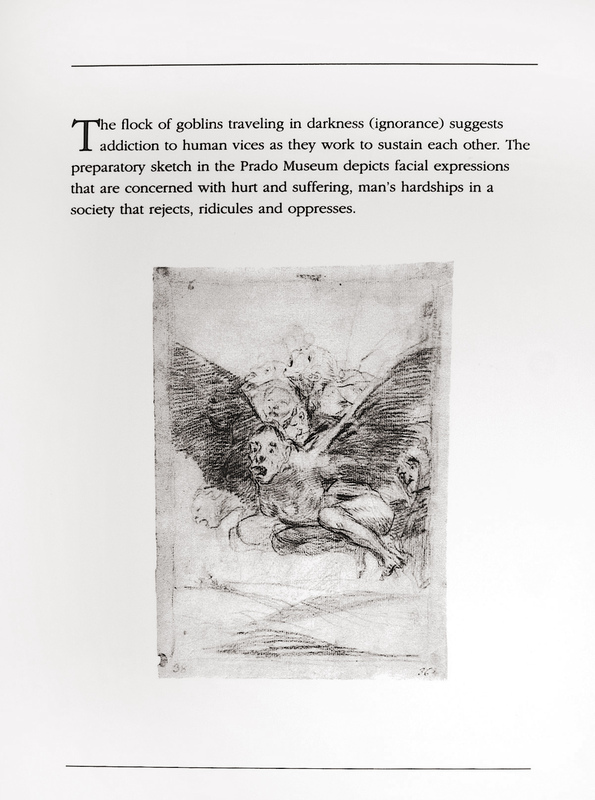 Although details of his early life and training as an artist are fragmented, he was to become one of the most important artists in history, credited to be at the very cradle and early development of modern art. 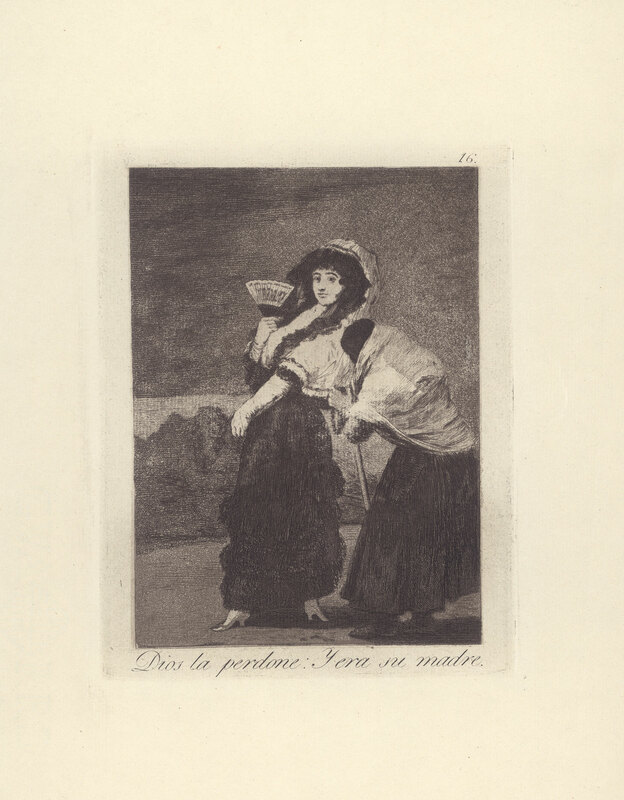 For many scholars and art historians, Goya is thought of as the true father of the modern movement. Even Robert Motherwell praised his genius and abilities. 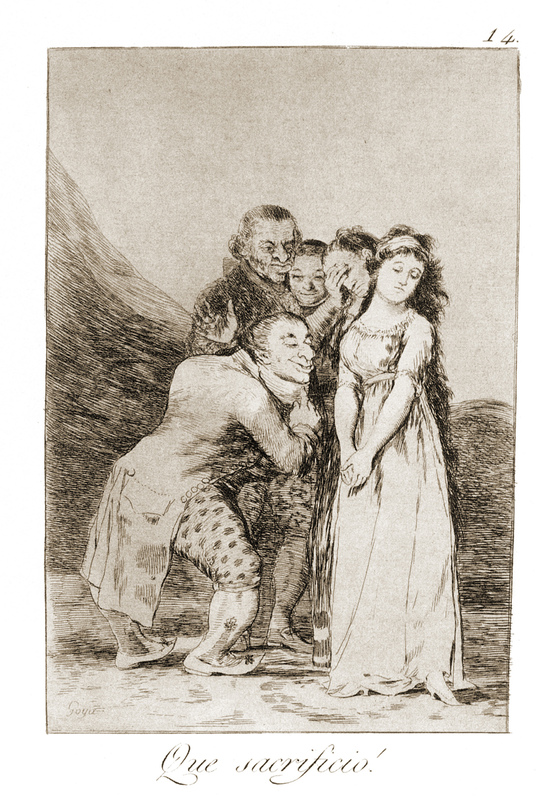 It was Goya’s series of etchings Los Caprichos that established him as one of the greatest graphic artists of Spain and Europe. 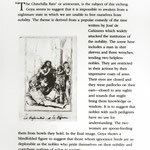 At age 51, he had a dream that gave him the idea of producing one of the greatest satire works in modern times, The Sleep of Reason Produces Monsters. 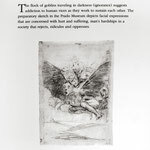 This was the Age of Enlightenment, referred to as the Age of Reason, when politics, philosophy, religion, art and science were radically reoriented during the eighteenth century. 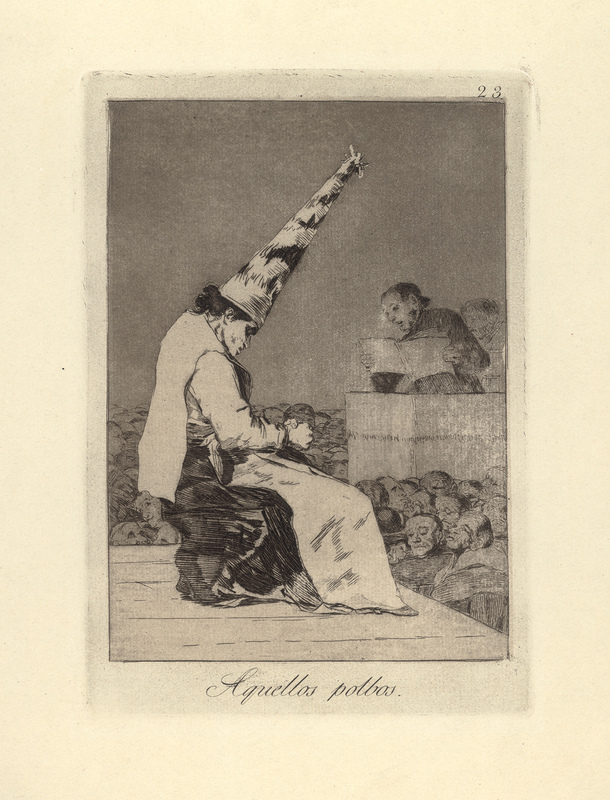 Goya had planned to use his ‘Sleep of Reason’ image as a cover piece for his series of eighty satirical prints. 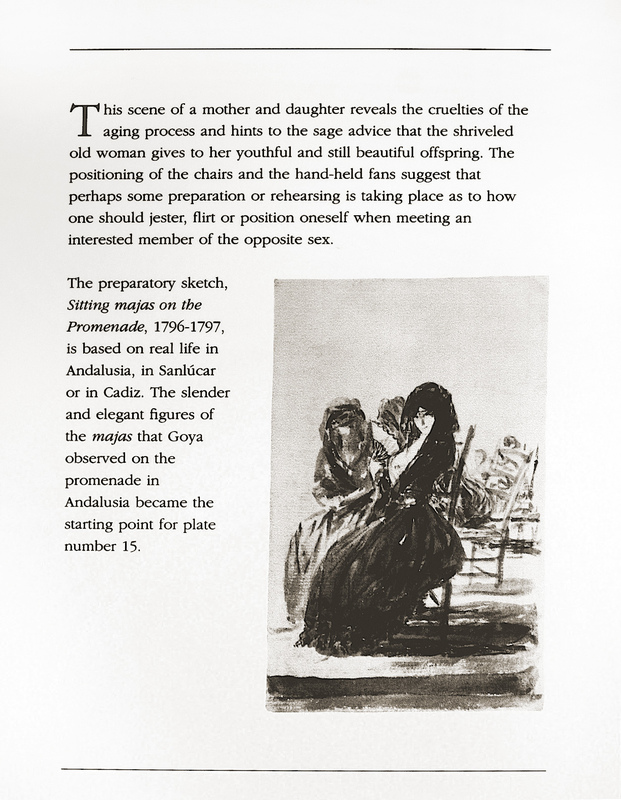 In his original drawing, now in the Prado Museum in Madrid, Goya's face can be seen in the mystic background depicted in one of the twenty illustrated wall panels that are included in the exhibition. 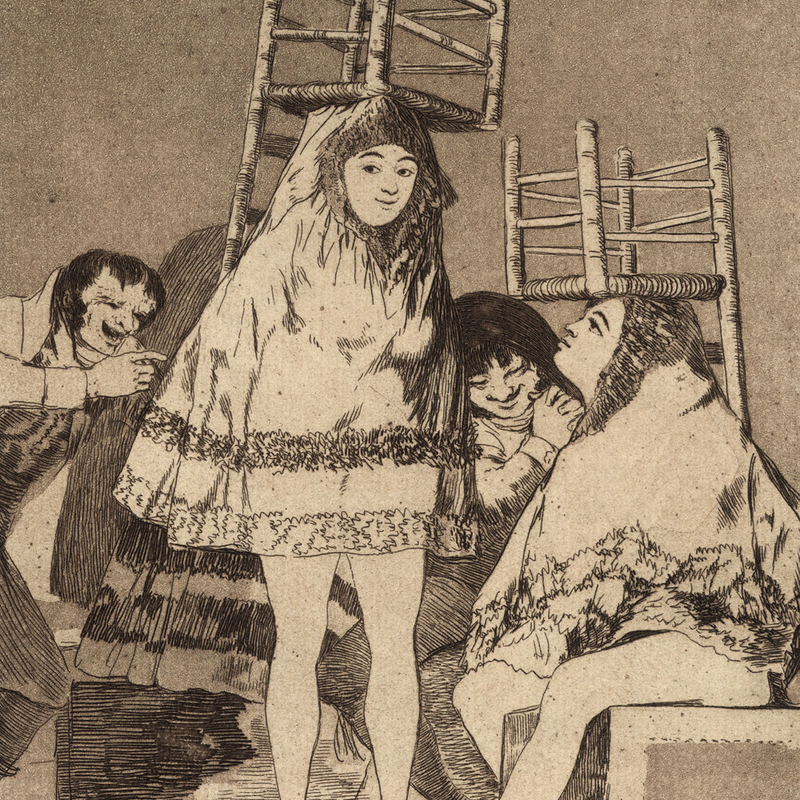 Each panel, with interpretive text, reproduces the cartoons that Goya had made in preparation for the final design of his etchings. 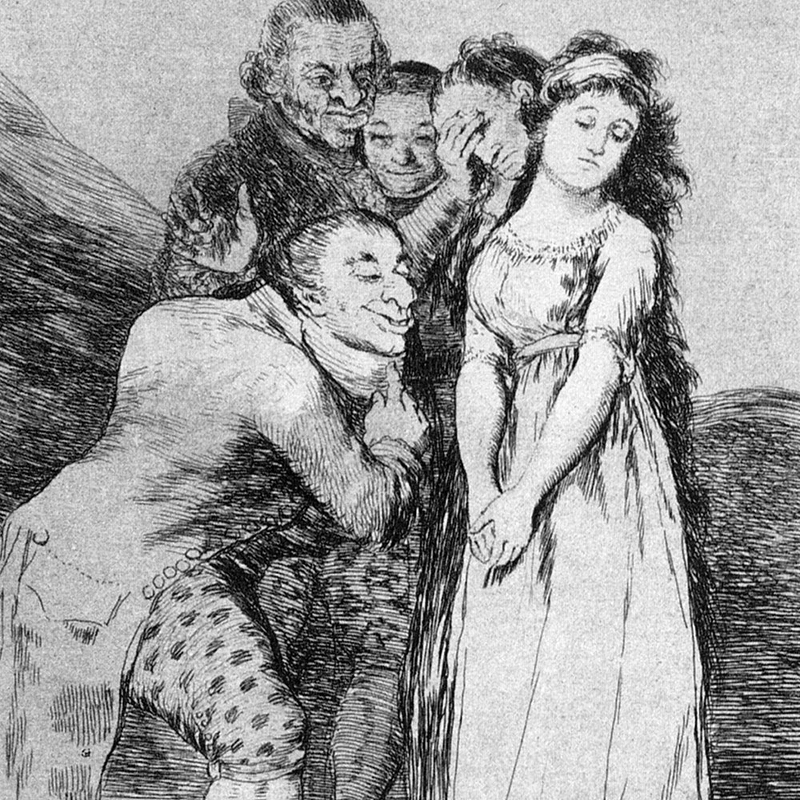 Los Caprichos (meaning impulsive fantasies) permitted Goya an opportunity to explore creative freedoms normally not accepted among the conventions of art in his time. 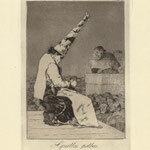 The prints depict human folly as Goya saw it during the late eighteenth century in Spain – a period in which his homeland was strongly influenced by the iron-hand control of the Roman Catholic Church and was often at odds with France. 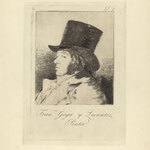 Because many of the images suggested specific references that were recognizable to his contemporaries, he was forced to withdraw their sale on the open market. 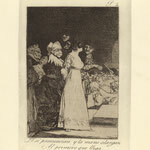 Later, the plates were given to the Royal Institute of Printing in exchange for a bursary for his son. 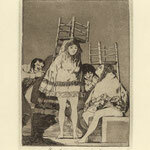 "There are no saints (in Goya's work) . 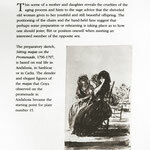 . . and no heroes either, only mortals whose desires are all too clearly defined to the petty vanities of the world." 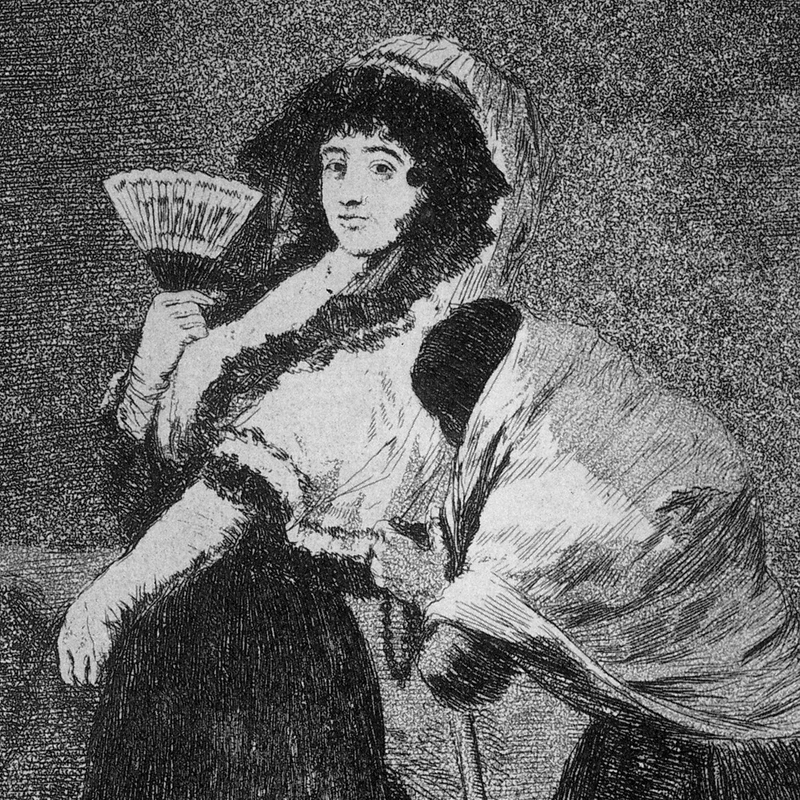 Through the expression of free and enlightened thought, Goya is credited for leading the way of new artistic tendencies which culminated in the nineteenth century. 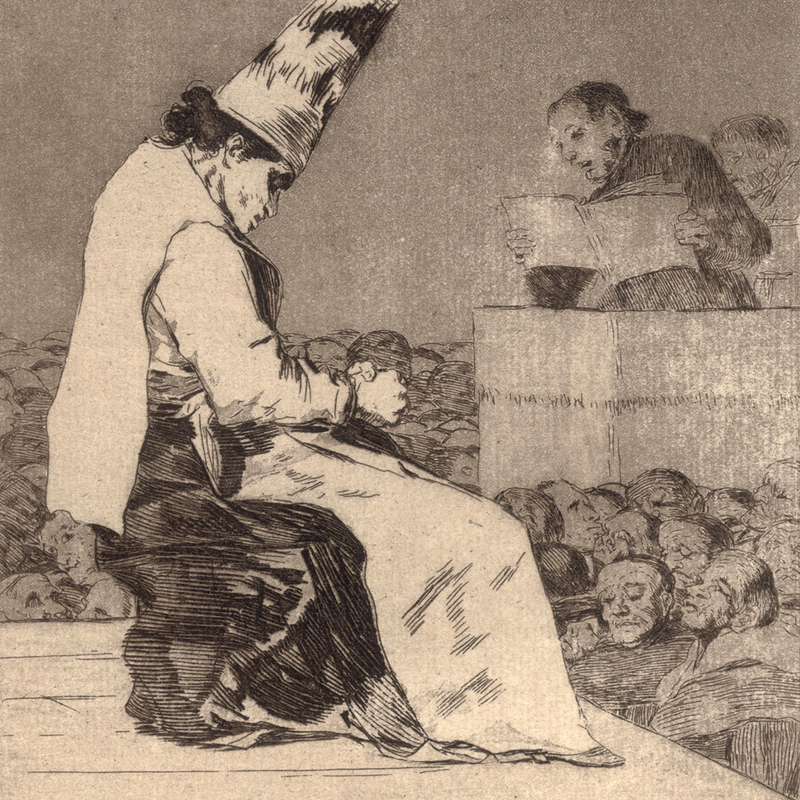 His works changed the way artists in generations to come would interpret the world. 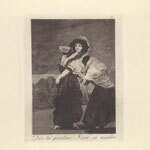 The Caprichos prints, c.1799, preceded the more monstrous series of war images, Los desastres de la Guerra (Disasters of War), 1810-1820, and his bullfighting images, La Tauromaquia (The Art of Bullfighting), 1814-1816. 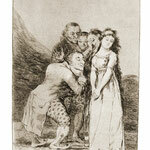 The Caprichos prints are considered the most important of the three large series of prints he produced. 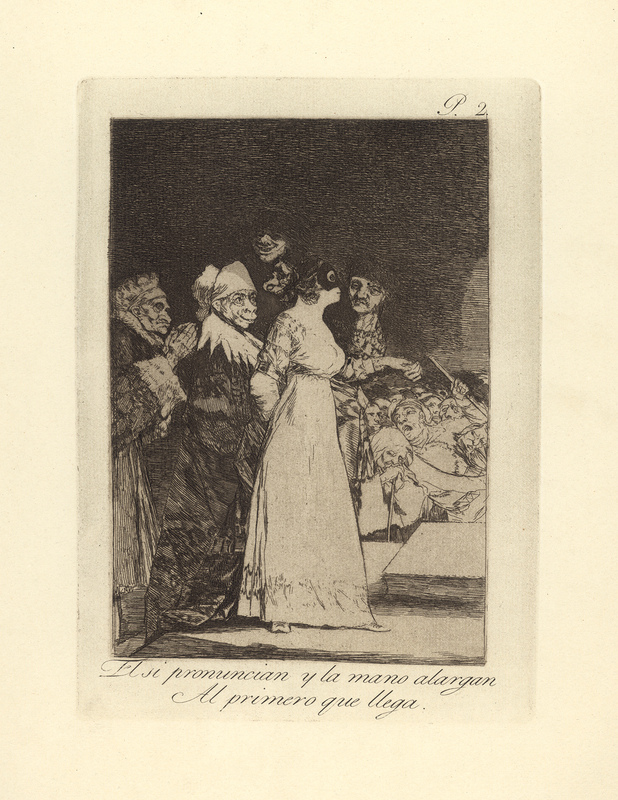 Eighty (80) etchings and aquatints by Francisco Goya dated c. 1799. All prints are framed with UV-3 plexi. 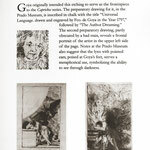 Four (4) crates include the eighty (80) works of art (etchings and aquatints), and one (1) crate includes wall panels. Four crates measure [H/L/W] 32 x 39 x 28; one crate measures 25 x 39 x 19, for a total of 95 cubic feet. 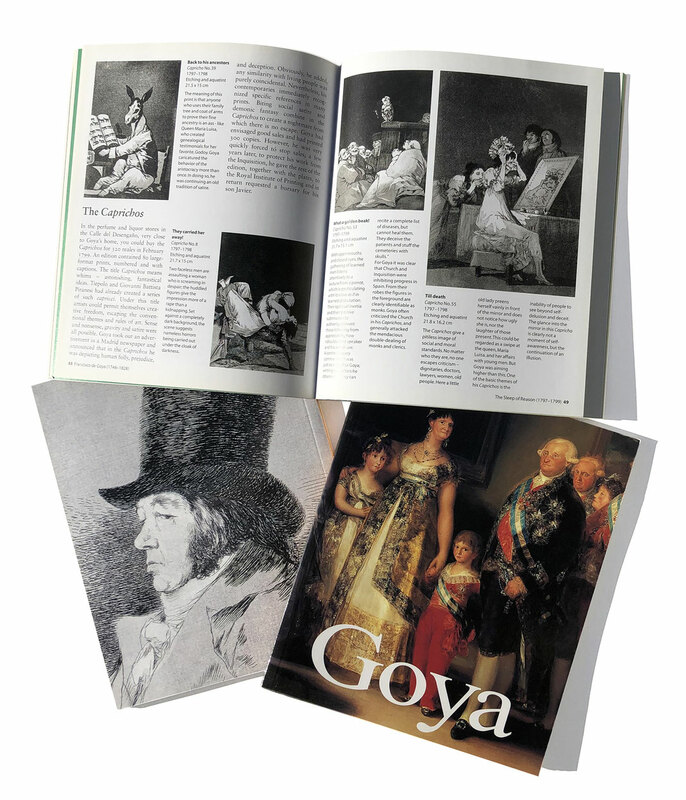 CMPE will provide a detailed list of works organized into groupings based on their subject matter that will help docents and museum visitors comprehend and assimilate the information as Goya intended the works to be understood. 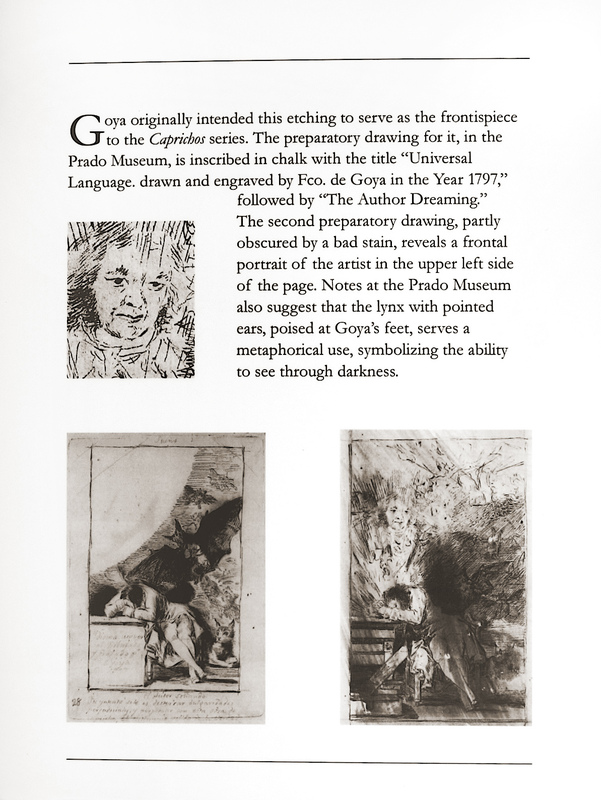 Three (3) labeled text panels: Goya’s Caprichos; Francisco Goya: Man of Aragon; The Age of Enlightenment. CMPE does not provide the entry wall text with title and dates of the exhibition, sponsor names or other credits. The borrowing institution must include credit to CMPE as organizer of the exhibition as stated in the Application/Agreement terms. Didactic wall labels printed and mounted on tan beveled edge board, a total of eighty (80). 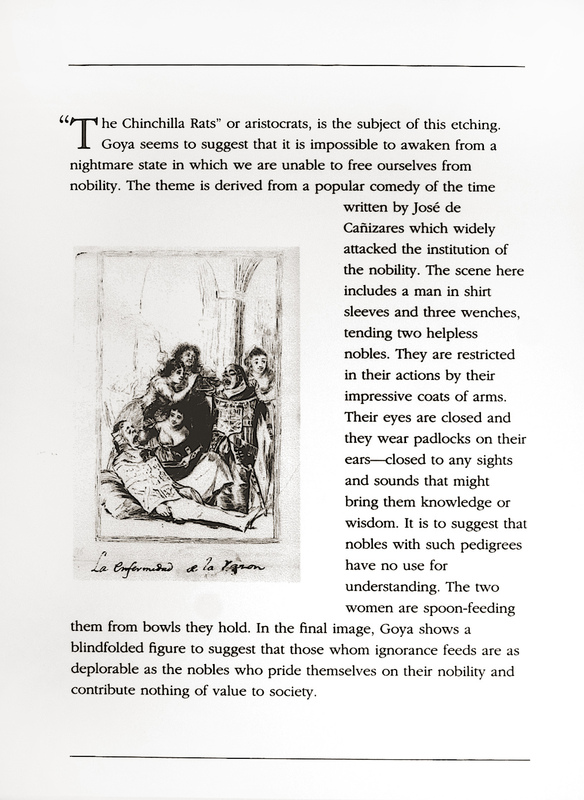 Scanned images, bio and chronologies related to the artist and poets. Press information includes follow-up press release information related to specific topics. 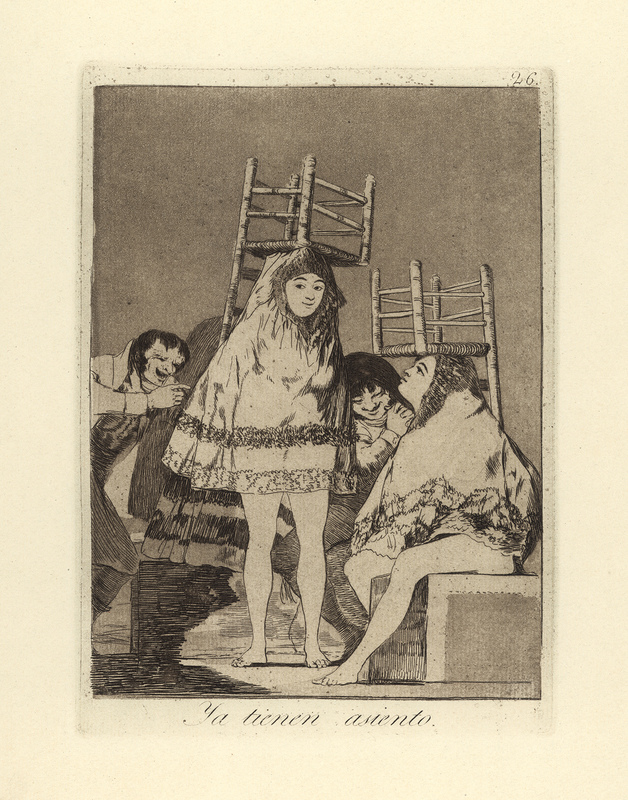 Francisco Goya: The Caprichos Etchings and Aquatints, published by Contemporary and Modern Print Exhibitions. Additional guides can be provided at cost.